I'm not a huge DIYer, because I just don't have the patience. It's a shock, really, because my mom loves to knit, sew, paint, and basically every other use-your-hands hobby there is. Not me. I get bored and antsy. Once in awhile, though, I'll see something adorable online for some slightly outrageous price, and decide it'll take a small enough amount of time that I'm going to give it a try. 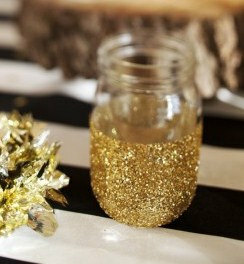 I was browsing the other day, and came across this real cute glittered mason jar. The price isn't actually all that bad, but I had a few clear glass votive holders that I'd used up and dishwashered so they're good as new. I'd intended to find a little project for them, and this was just the thing. 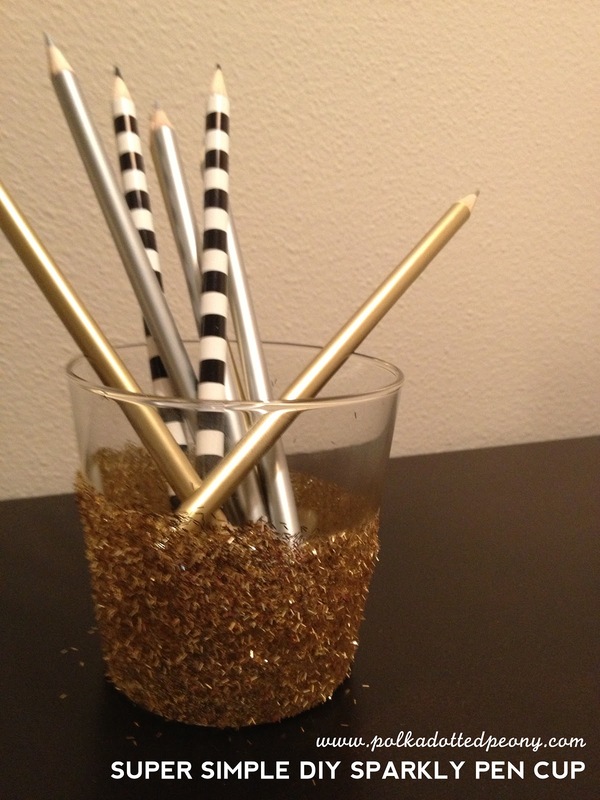 I grabbed some tacky glue and gold shimmery glitter at Michael's craft store. The glitter is REALLY sparkly, which I am so very happy about. It was in the scrapbook aisle. I found lots of other glitters in different aisles, but this was my favorite because of its texture.